TDO – Helping Central New York Manufacturers & Technology Companies Grow & Prosper. by harnessing the power of people. process when they work together. TDO is a consulting and training organization based in Syracuse, New York. Our mission is to grow the local economy by helping CNY manufacturers and technology companies drive operational excellence and cultural transformation to reach their full potential. TDO’s support of the local mission generated $265 million in economic impacts in the last contract period supporting jobs, investments, cost saving and profitable growth. TDO is proud to announce it is the exclusive reseller of TWI Institute services and consulting for the 5 county region: Onondaga, Cayuga, Madison, Oswego, and Cortland, and to the NIST MEP Network. We help you increase revenue, reduce costs & increase productivity. By empowering your people & improving your processes. 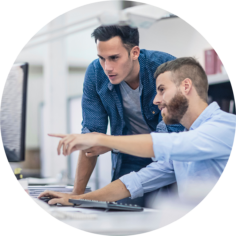 TDO can help you manage your daily business to an established level of performance and tackle your day-to-day challenges by implementing processes and workforce strategies that will help you control quality, delivery and cost. The TDO team can work side-by-side with you on the plans, decisions, investments and processes that will set a new standard for operational and employee performance and put your company on a track for unprecedented growth. Using the right approach for your company. TDO’s team of experienced practitioners is wholly focused on helping Central New York companies achieve the operational excellence and cultural transformation needed to thrive. Whether you need to empower, innovate, transform, plan, grow or optimize to best help your company reach its full potential, the TDO team has the expertise and experience to help you achieve your goals. 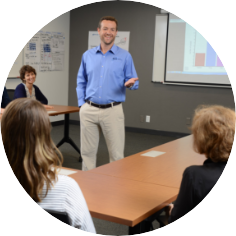 The TDO team will work directly with you to develop and deliver customized in-house training and workshops that helps your team build the skills they need to achieve operational excellence and empowers your employees to directly contribute to the success and growth of your company. From new product development to commercialization to market intelligence, the TDO team can leverage our unique processes to help you unleash the power of innovation and drive new ideas in your organization. Our team delivers the principles and processes that can transform your organization, but more importantly they provide the oversight and coaching required to make sure the transformation sticks. The TDO team can help you drive continuous improvement by employing the right tools and processes to help you measure it, manage it and fix it. TDO offers an insightful approach and the tools that can help you find the hidden potential in your company and convert it to real growth. The TDO team is experienced in helping companies develop short-term action plans, workforce improvement plans, manufacturing process plans and long-term strategic plans that deliver lasting results. Finding the resources can sometimes be the biggest obstacle to pursuing your plans for operational excellence and the future growth for your company. TDO can help assist you through the process to secure funding for activities like: product development innovation, security, workforce development, global expansion, cybersecurity, revenue growth, quality systems, productivity, business transformation, capital equipment/expansion, and impact by foreign competition. Let TDO show you the way to grant funding for your project. TDO can add to your success. Schedule a free consultation. By developing a workforce knowledgeable in Lean and Lean Six Sigma and supported by the standardized training methodology of TWI, Currier Plastics has incorporated both the saving in efficiencies, training times, training effectiveness, and floor space that Lean and Lean Six Sigma promise.